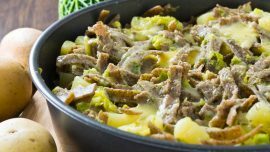 Valtellina Casera PDO, produce in the province of Sondrio, is used to cook Pizzoccheri and Sciatt. 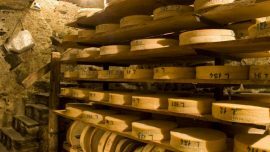 In Valtellina the word “casera” means the cellar or place where the cheese is conserved for ripening. In the past the production of Valtellina Casera was quite exclusively done during winter, because during summer the milk is worked to produce Bitto. Today it concerns the whole year, thanks to the herds which are sedentary. 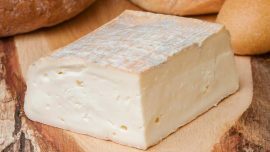 The cheese is made from semi-skimmed cow’s milk from two or more milking, thus allowing the cream can be used to produce butter, fundamental condiment of the local cuisine. 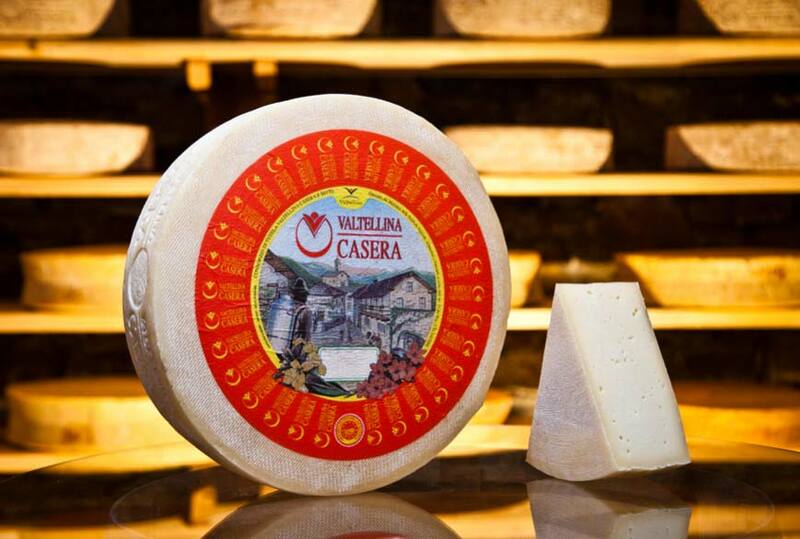 Valtellina Casera is a semi-fat cheese, with semi-hard and semi-cooked paste. After two ripening months, its rind is slightly rough and has a pale yellow color. Its paste is compact and elastic, with scattered holes, and basically fine. When it is ripe, its paste becomes crumbly and slightly soluble. 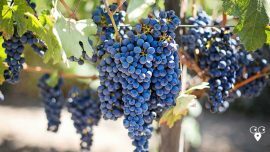 Aging time: minimum 70 days – young Valtellina Casera, from 70 day to 6 month ripening – Valtellina Casera aged from 6 to 10 months – Valtellina Casera aged for more than 10 months.